To offer a safe environment for growth and healing. For further information on Living Life click on our Areas of Specialization link. We believe that no matter what you are struggling with, it is never too late to achieve your dreams. In John 10:10, Jesus says, I have come that you may have life and have it to the fullest. At Living Life Counseling, we believe this Scripture speaks to the core of our mission. We have had the privilege of seeing our clients triumph over unbearable situations and find peace again in their lives. Through the power of Jesus Christ and the help of a caring, professional therapist you can overcome your challenges and experience true emotional healing. 2. Would the most important people in your life benefit from you getting help or support? 3. 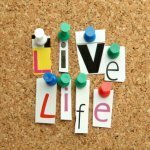 Do you feel that if you sought help you could begin to live a more fulfilling life? If you answered “yes” to any of these questions, then it may be time to consider getting help. We would like to spend time talking to you and together determine if you would benefit from counseling. Our Staff is dedicated to support you through the vital issues that you face. We want to help you live the life you truly desire. Call us at 734-591-6277. Check back to our website or follow the Living Life BLOG for new editions. For further information on Living Life's mission and Christian counseling approach click on Christian Counseling for further details.